Just in the way everyone knows what a conference is, I think that once you go to an unconference you think THAT is what an unconference is – the format becomes set in your head, and this is reinforced by going to more unconferences that are run along very similiar lines. Hence Museumcamp was strongly based on the two or three unconferences I’d been to before we set up Museumcamp. There were things about the unconference format that I found challenging, but I felt that the positives outweighed the negatives. Now I’m having a rethink about some of the unconference issues. If you have never been to an unconference before it can be overwhelming. There are a lot of new rules to remember, although they come in the guise of non-rules, and the start of the day when people pitch and sessions are pinned to a wall chart with time slots and rooms, then moved again, and again, then merged with something else, can seem a little chaotic. The pitching process itself can seem scary, not everyone wants to stand up and speak to a roomful of strangers, and being loudly badgered to pitch can make you feel even more nervous, or even feel “told off” if the thrust of the person trying to make you do so is “Why are you here if you didn’t come to pitch?”. The scale of an unconference can increase the above issues, the more people in the room the more shouting there is – about rules (non-rules! ), and pitching, etc – and the more daunting it is to get up and pitch. I cannot lie, I find conferences and unconferences equally intimidating if there are a large number of people there – I feel out of place, uncomfortable and want to run away! But this feeling usually leaves once the unconference sessions begin because they break down into smaller numbers, and the high energy and noise of the beginning of the days settles down into meaningful conversations and getting to know people in a much gentler way. This is where the learning happens and it is why I get excited about unconferences. I’ve realised at unconferences that the best conversations happen in open spaces, often a circle of people, that can expand and contract as people join and leave. Once there is a table in the room less people seem willing to speak, and it is difficult to welcome new people if they cannot fit around the table, and less easy for people to slip out (the rule of two feet). Some of the best conversations can happen in very small sessions, two or three people sitting by a fire extinguisher in the corner of a room. Where am I going with this? Well, the difficulty in finding the perfect venue grows the larger the unconference becomes, and so you start to make compromises about the type of spaces. The smaller the number of participants, the easier it should be to find somewhere that doesn’t have these issues. And if you have a smaller venue, with less rooms, you also take away the stress of trying to find the right room – or in my case, of getting lost all together! Of course having a smaller unconference also means we need less money to run one, so it is more likely to happen! 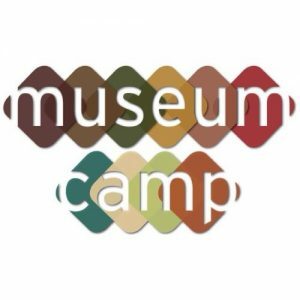 So what do you think of the following ideas for Museumcamp 2017? If you’ve been to an unconference before and found it overwhelming, would it make you more likely to come back? And if you have any other ideas, let me know!